An Abstract and an Annotation are NOT the same thing! An ABSTRACT precedes the journal article and is a summary of the main points or topics the article will discuss. The abstract is written by the author of the article, or an editor, and is intended to help you decide whether or not the work is relevant enough for you to read in full. An example of an abstract - taken from an article found in Academic Search Complete - is shown below. Isn't an annotation also a short description of the work? Yes, but annotations serve a different function from that of abstracts. 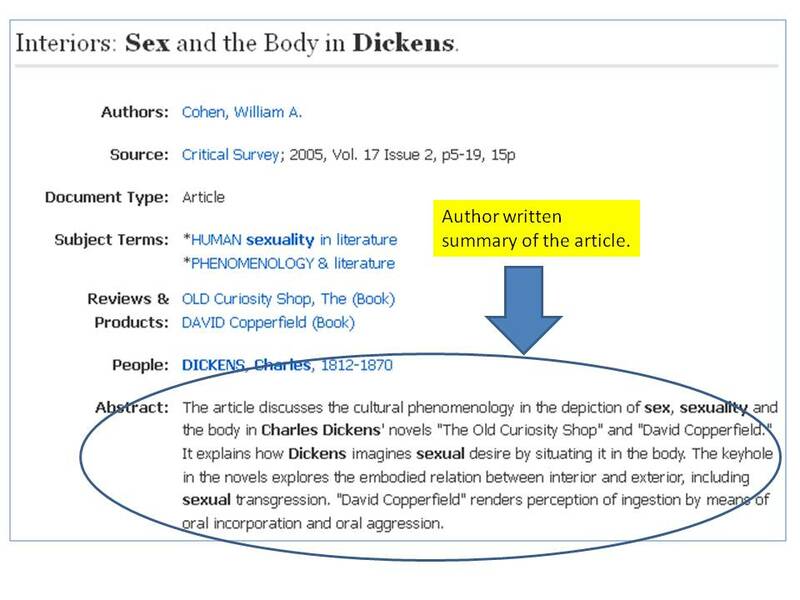 ANNOTATIONS are evaluations of sources written by someone researching a topic. An annotation will describe the work and may give the background of its author, but they also critique the resource and explain its strengths and weaknesses. To sum up: an abstract is an author/editor written preview of their own work; an annotation is a description and evaluation of the work written by a student, researcher, or scholar. When a movie is released, the movie studio puts out a trailer (and some billboards) that advertise the movie to us. These previews aim to give us a taste of what the movie is about in order to encourage us to go see the entire film. A movie trailer is the film world's version of an abstract. 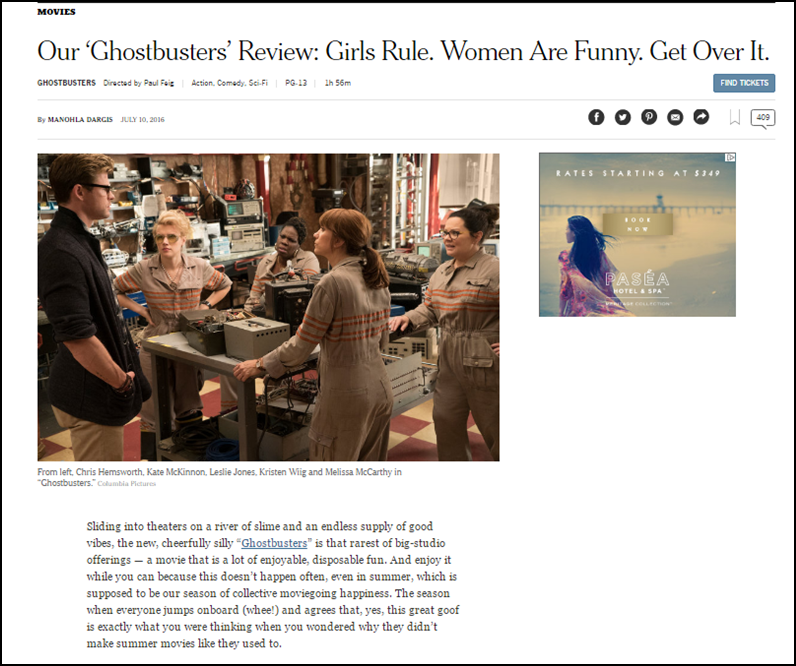 Movies are also reviewed by columnists at the New York Times and other papers, as well as by movie fans on blogs and on social media. 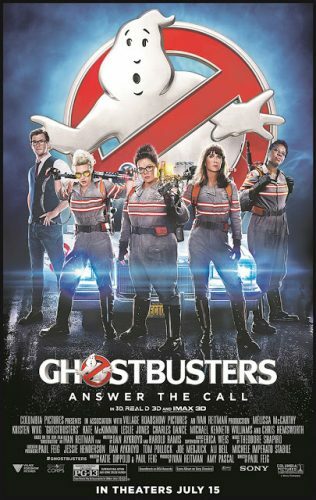 These reviewers provide us with an overview of the film's plot, some background on its director and cast, and a critique of the film as a whole. As a movie review is a description and evaluation of a film, it functions like an annotation.